This is your chance to get free advice! We wish to offer you the opportunity to engage with Ibsen Photonics at the SPIE BiOS/Photonics West trade show in San Francisco from February 13th through 18th. Our technical experts in Spectrometers, FBG interrogators (I-MON’s), Phase Masks, Pulse Compression gratings, Telecom gratings, and Spectrometer gratings will be there, giving you the unique opportunity to speak with them directly about your photonics projects. When you are considering to buy a new spectrometer, you may have to decide whether you need one with a cooled detector or not. A cooled detector can provide low noise but is also bulky and expensive. We have put together a technical note with some practical guidelines on when to cool and when not to cool. With this letter we want to inform you that our I-MON 80D will be discontinued by the end of March 2016. Last Time Order Date: On April 1st 2016, the I-MON 80D will be discontinued and orders no longer accepted. Ibsen offers a variant of the FREEDOM family of compact and high resolution spectrometers, the HR-DUV FHW-380, to complement the current HR-UV, HR-VIS, and HR-VIS-NIR. This deep UV spectrometer covers a wavelength range of 178 – 409 nm and a resolution of 0.3 nm. This feature set makes the HR-DUV ideal for integration into Industrial Laser Induced Breakdown spectroscopy instruments. The ROCK XNIR spectrometers from Ibsen offer 2-6 times higher sensitivity than competing technologies for near infrared spectroscopy and are ideal for process control applications due to their compact size and ruggedness. So, maybe your cookie dough ingredients have been tested by an Ibsen ROCK XNIR spectrometer. 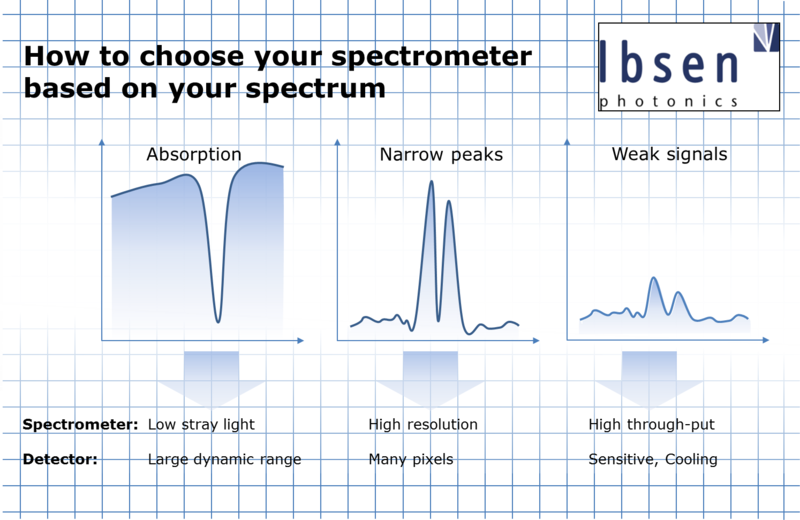 Do you know how to choose a spectrometer? 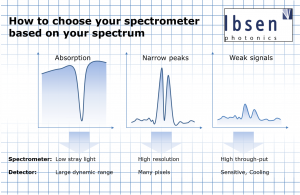 In this blog post we would like to take the opportunity to make you aware of our technical note that can help you choose a spectrometer. We would like to take this opportunity to make you aware of the FREEDOM 101 series of spectrometers as an alternative to spectrometers using the obsolete Sony CCD. The CMOS line array used in our FREEDOM 101 series has roughly the same cost, sensitivity, and noise performance as the Sony CCD option.